Compact cars are incredibly popular these days. After all, they are incredibly spacious, are safe, fuel efficient, and they are also well equipped. So, we can definitely say that the 2019 Mazda 3 has everything on its side to be a success. The new 2019 Mazda 3 is launched with a new redesign. The current generation is dated back from 2014 and it will now compete with the Kia Forte and the Honda Civic. 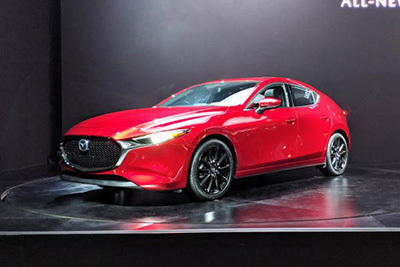 The 2019 Mazda 3 was debuted last November during the 2018 Los Angeles Auto Show. You can expect for the 2019 Mazda 3 to reach dealers in early 2019. While Mazda didn’t disclose the price of the new 2019 Mazda 3 yet, we believe that it should cost a bit more than the current generation which currently is at $19,345. In our opinion, we believe that the 2019 Mazda 3 base trim will be priced at around $20,000. However, if you want the Grand Touring Package, you should expect to pay at least $25,000. If you already knew that the 2019 Mazda 3 was about to be released, you probably already had an idea that the 2019 Mazda 3 would be very similar to the Kai. 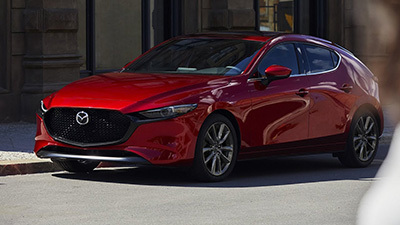 So, in case you like compact cars that are elegant and sporty, you’re going to love the 2019 Mazda 3 exterior design. When you look at the 2019 Mazda 3 front, you will see that it still is the Mazda 3. Even though the headlights are more aggressive because they are thinner, the overall design remains pretty similar. In what concerns the bumper, it is very similar to the 2019 Mazda 3. 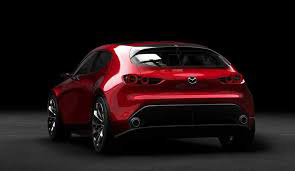 However, when you look at the back of the 2019 Mazda 3, you will see that there aren’t any similarities with the Kai. After all, the taillights are simpler even though the proportions are similar. One of the things that you need to know about the 2019 Mazda 3 is that there are 5 different engines available. 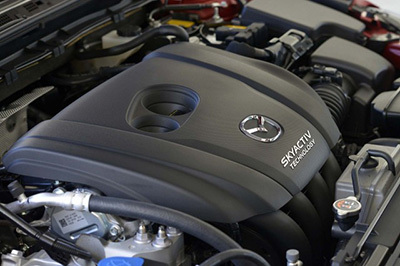 However, in what concerns the United States market, the 2019 Mazda 3 will only be available with one single engine – the 2.5-liter inline-four from the Skyactiv-G family of engines. This engine is able to produce 184 of horsepower and it should be able to deliver 185 pounds per feet of torque. In what concerns the transmission, you should expect to be able to choose between a six-speed automatic and a six-speed manual transmission. When it first launches, the Mazda 3 will be powered by a 2.5-liter inline-four from the Skyactiv-G family of engines and a choice of a six-speed manual or a six-speed automatic transmission. Power numbers have yet to be announced, but we expect it’ll match or come close to the current model’s 184 horsepower and 185 pound-feet of torque. Later in the year, Mazda’s ground-breaking Skyactiv-X engine will finally become a production reality under the hood of the new Mazda 3. 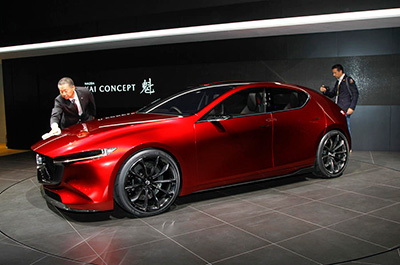 It’ll come equipped with something Mazda is calling its M Hybrid system —likely mild hybridization at most. Inside the cabin, the 2019 Mazda 3 is simple but it features a techy look with a clean design. One of the things that affected the previous generation was the fact that the interior became dated in a very short period of time, especially when compared with the more direct competitors. However, we believe this won’t happen with the new 2019 Mazda 3. In addition, one of the major changes that you will see in the 2019 Mazda 3 interior is that the materials are incredibly better. At the center of the dash, you can see the infotainment display which is a great spot for the driver. Another difference that is worth to be mentioned is the steering wheel changes. The truth is that it now includes silver buttons that are well-integrated with the rest of the dashboard.